There are a plethora of Enterprise Resource Planning (ERP) vendors out in the world of enterprise technology. Choosing the right ERP solutions can be crucial to your business, in terms of maximizing efficiency and enabling agility. ERP software provides seamless communication and real-time data for businesses, and is an extremely helpful tool that centralizes all islands of information and streamlines it to multiple departments in an enterprise. Panorama Consulting Solutions, the world’s leading independent ERP consulting industry, released a report titled Clash of the Titans, which provides an analysis of the four titans of the Tier I ERP vendors. According to an article posted on TechTarget, the report represents data from 470 respondents who have recently implemented software from one of these four vendors. It provides insight into the top vendor benchmarks such as average market share, project duration and cost, and benefits for each vendor. SAP is the world leader in enterprise applications in terms of software and software-related service revenue. With more than 345,000 customers in more than 180 countries and 15,000 partnering companies globally, SAP is the world’s third largest independent software manufacturer. The reason why their ERP solution is so successful is because nearly 50,000 ERP customers have helped shape its scope through programs like Customer Influence. According to the TechTarget article, SAP leads the major ERP vendors for overall market share with 19 percent and has the largest gap between planned cost ($1.44 million) and actual cost ($2.09 million). Microsoft Dynamics 365 has the complete ERP tools for Operations that provide global scalability and digital intelligence to help you grow at your own pace. Their ERP software capabilities extend what you can do with Manufacturing, Retail, Finance and IT. Microsoft Dynamics is going more upstream after larger implementations and is a more open system, making it easier to customize. Microsoft trails closely behind SAP with an overall market share of 16 percent. Microsoft Dynamics 365 ERP software appeals to small companies, as well as midsize and big companies due to the solid suite of products they’ve made. Oracle ERP Cloud offers a complete, innovative, and proven solution for organizations of all sizes that want to thrive in the digital economy. With industry standards and modern best practices, Oracle is the one cloud for your entire business. It manages accounting, financial planning and analysis, revenue recognition, risk management, tax reporting and so much more, according to their website. For overall market share, Oracle follows close behind Microsoft Dynamics with 13 percent. As for project cost, Oracle’s was the most expensive, with an average of $2.38 million. Infor ERP solutions are specialized by industry. Healthcare, Public Sector, Retail, Hospitality, Distribution and Service Industries are a few among many others that they offer. Infor’s enterprise management solutions have expanded beyond traditional ERP functionality, bringing together business intelligence (BI), sales automation, and ecommerce. For overall market share, Infor is at the same 13 percent as Oracle. Infor’s move to the top tier, can be explained in part by its rapid growth in the past few years, but also because it has invested heavily in user interface development and embraced open-standards architecture. They had the least expensive project cost at $1.51 million. All four vendor ERP systems took longer to implement, with the exception of Infor. Oracle had the longest implementation time at 24.5 months, while Microsoft Dynamics has the biggest discrepancy between the planned implementation duration (21.2 months) and actual duration (23.6 months). Infor took 15.3 months on average to implement, according to the TechTarget article. 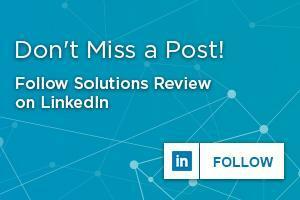 Looking for more information about ERP systems? 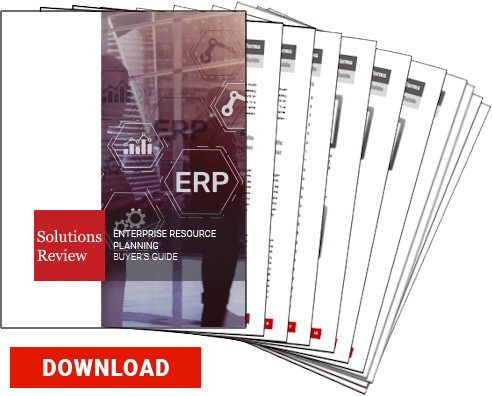 Download our free buyers guide, where you can find the top ERP software vendors, snippets about their highest ranking ERP solutions and products, plus the top 10 questions and tips about the implementation and selection process!